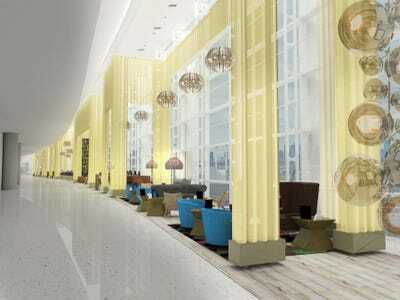 It’s about to get a lot more enjoyable to wait for a flight at Newark Liberty International Airport’sUnited Terminal. 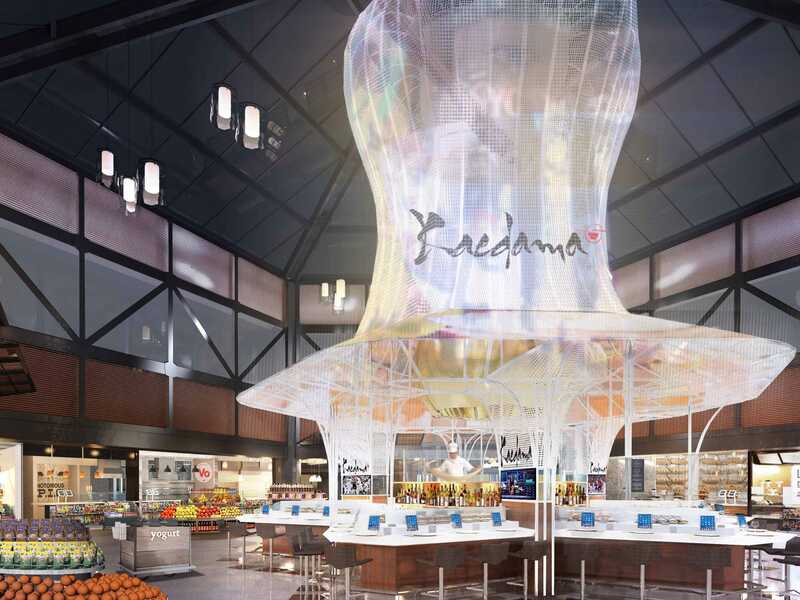 An ambitious new $US120 million makeover plan of Terminal C by airport amenity manager OTG includes 55 new restaurants headed by celebrated chefs (see the list here), new retail spaces, and visual upgrades galore. 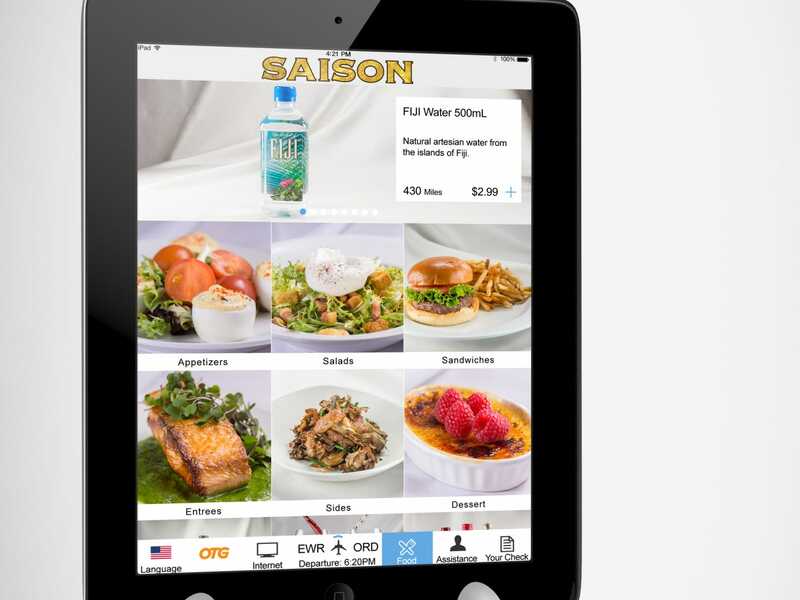 OTGThe iPads offer ‘visual menus’ as well as your up-to-date flight status. As part of the plan, OTG will be installing 6,000 new iPads so passengers can order from the fancy new menus.When passengers sit down at one the iPads, they scan their boarding pass or enter their United MileagePlus account number. The screen then shows updated flight information, which is always visible, even when the screen shifts to the food menus of the new restaurants. Shopping is also possible from the iPads, and passengers can order travel amenities like ear buds or a neck pillow. Orders are expected to arrive at your seat in 15 minutes, and passengers can pay for both food and other items with either credit card or their MileagePlus award points. For the tech obsessed, there will also be power outlets at every seat and over 10,000 in total. Master architect David Rockwell’s Rockwell Group, which has designed everything from the Academy Awards to restaurants, was behind over half of the spaces in the new terminal. According to Fast Company, this includes the “beer garden” with an intricate metal roof and an Italian-style cafe area with huge columns. Rockwell GroupThe first new restaurants will be open for business in summer of 2015, with the whole project completed in 2016. Renovations for the new restaurants have already started and existing restaurants will continue to close gradually so the spaces can be updated. The first new restaurants will be open for business in summer of 2015, with the whole project completed in 2016. 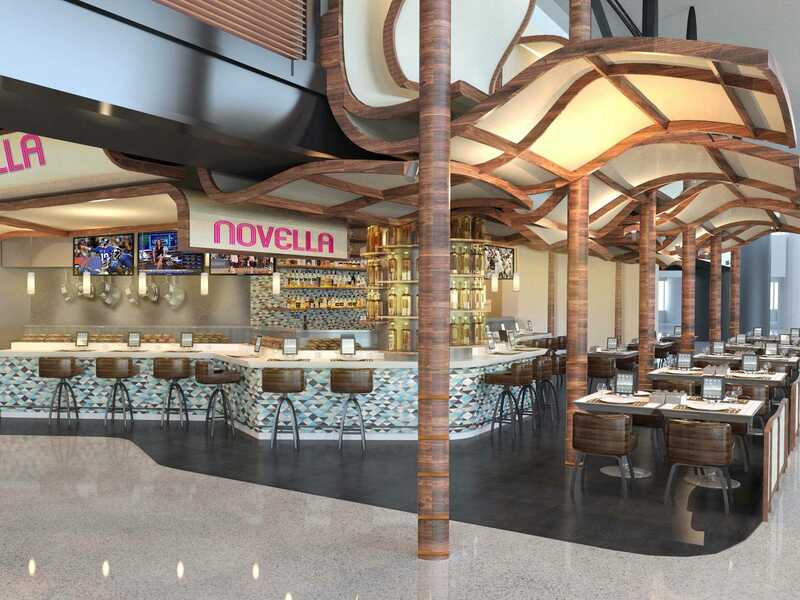 Rockwell GroupPlenty of new seating will be offered throughout the terminal, with iPads for ordering food, drink, and items from your seat. There will also be 10,000 power outlets throughout the terminal.